Peanut butter and chocolate -- heavenly! 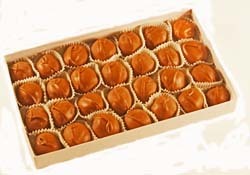 But Dorothy's Candies does more for peanut butter than any chocolates you've had! Our unique, creamy Swiss chocolate, touched with the the right hint of pure vanilla, was made for peanut butter. 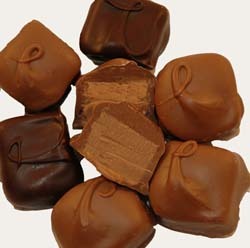 Plus, Dorothy's chocolates peanut butter varieties uses only top-grade peanut butter. 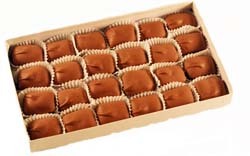 Dorothy's peanut butter cups have been a customer favorite for over 66 years! 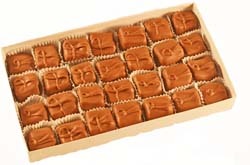 In addition to peant butter cups, peanut butter lovers regale about our peanut and peanut butter varieites, including peanut butter logs, peanut butter brittle squares, peanut butter meltaways, peanut butter nut cremes, peanut butter nut cremes,and peanut butter cremes. 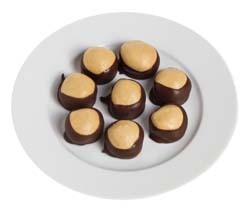 Best -- try our peanut butter lovers assortment. You'll have a hard time identifying your favorite!